I particularly liked this study because of the subtle Bishop's moves, which you will see underneath, in case you didn't solve it. As you've already suggested, the mating threats are almost "touchable", but how exactly should we do that?! Black's last move was 2...Kc3, how should White continue? Does it look like White has some troubles?! I've always considered studies a good working tool for improving your calculation abilities. It's even better if you manage to see all the lines without moving the pieces. 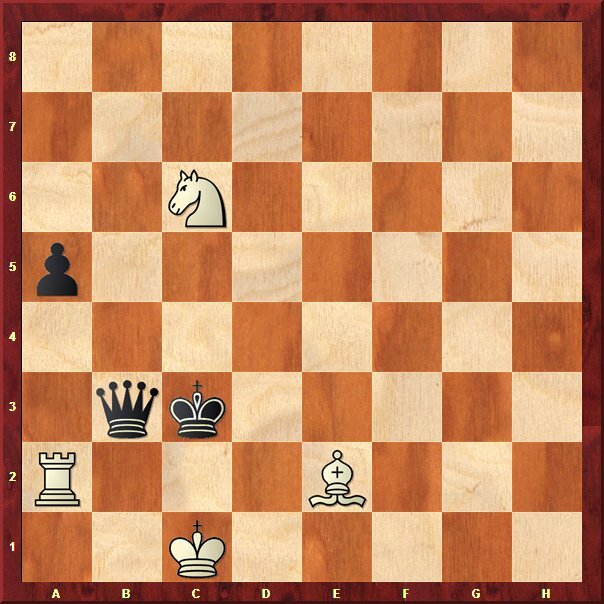 So far, I'm thinking that the white king has a2 and b2 guarded while white's knight has b4, so I have to get the bishop to cover a4 via f3. 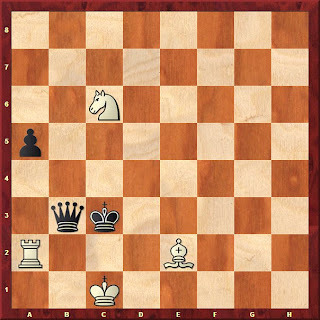 But after 5.Bc4 how will it win white after 5...Qa4? Very good question. I forgot to mention that after 5...Qa4 White goes 6.Ne5 with the threat of Rc2, Nd3 and Ra2 mate, or taking the queen. 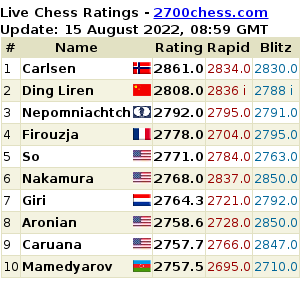 You mean 6...Qe8 in the line which ends with 6.Nd4? 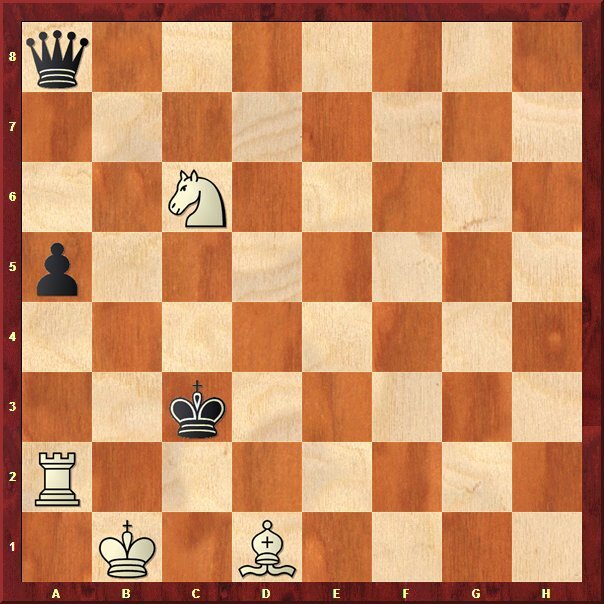 I am not sure if that's your position you were asking about; if yes, than White has mate in three with 7.Nc2+ Ka4 8.Ne3+ Ka3 9.Nc4 mate. Let me know if you meant a different line.